Williams Sound Pocketalker Basic Communication Kit Personal Amplifier - Weitbrecht Communications, Inc. 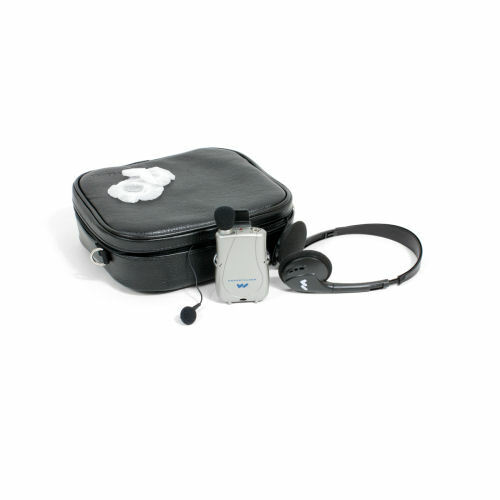 This kit features the Williams Sound Pocketalker personal amplifier, which provides superior amplification of sounds closest to the listener while reducing background noise.It can work with a hearing aid to reduce background noise and includes volume control, a microphone input jack, and an earphone output jack. Comes with a 3.5mm jack and will work with any standard 3.5mm jack headphones. The kit also includes a single mini earbud, folding headphones,a system carry case, and sanitary headphone covers.